Select Home Care works hard to make sure we find the best in home care resources for our clients and their families. 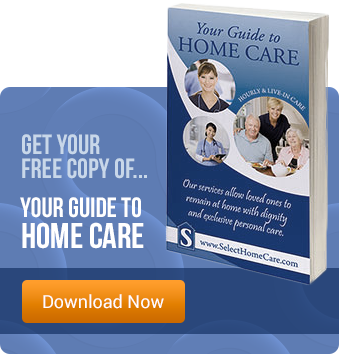 This list of in home care resources is updated on a regular basis. If you cannot find the home care resource you are looking for, please contact us. National Private Duty Association online, where you can find a trusted and reliable home care provider in your area or learn more about private pay home care. The National Private Duty Association is here to help. Private duty home care agencies are companies that provide home care aides, companion care, homemaker services and may provide nursing services in the client’s home or place of residence. Members of the NPDA employ trained caregivers and assume all responsibility for the payroll and all related taxes – this is never passed off to the customer. The Private Duty Homecare Association (PDHCA) was established by the National Association for Home Care & Hospice (NAHC). It is a trade association of home care providers dedicated to helping the ill and disabled remain in their own homes. PDHCA services will focus on providing valuable information to its members, including help in understanding federal guidelines, financial management assistance, networking, business strategy meetings, certification and accreditation, and new product offerings. The Center for Health Care Law is a nonprofit, public interest law firm, established by NAHC in January 1987. William A. Dombi, an attorney with more than 27 years of experience challenging arbitrary governmental actions, has acted as director since its inception. Denise Bonn, an attorney with 18 years of experience in health law, joined the Center as Deputy Director in 2005. The World Homecare and Hospice Organization (WHHO) is a dynamic network of global leaders and organizations dedicated to the interests of all patients, providers, home care associations, public and private sector agencies, hospices, and personal services practitioners. Responding to a worldwide need, key leaders in home care and hospice came together to formulate and advance the concept of an international clearinghouse as a forum for communication, business development, as well as information and technology sharing. WHHO is the result of that vision. The American Academy of Home Care Physicians works to serve the needs of physicians and related professionals and agencies interested in improving care of patients in the home. The CHAMP Program is the first national initiative to advance home care excellence for older people. 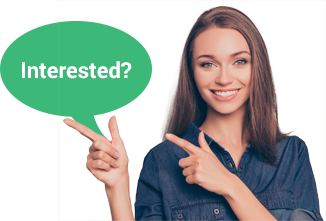 Participation is quick, easy, and designed specifically to meet your needs. AARP is a nonprofit, nonpartisan membership organization that helps people 50 and over improve the quality of their lives by serving as the premiere information source. AARP’s site includes an extensive policy and research section for professionals in aging. The Alzheimer’s Foundation of America’s (AFA) web site includes information about Alzheimer’s disease and related illnesses, caregiving strategies and behavioral issues, as well as daily news about Alzheimer’s disease, and links to AFA member organizations and AFA divisions. Parkinson’s disease is the second most common neurodegenerative disease after Alzheimer’s, affecting about one million people in the United States and an estimated four million worldwide. The prevalence of the disease is expected to increase substantially in the next 20 years due to the aging of the population in the U.S., Europe and globally, as well as an increase in the age-related incidence of the disease. The economic burden of Parkinson’s disease is estimated to be $23 billion annually in the U.S. and projected to increase to $5 billion by the year 2040. The American Association of Homes and Services for the Aging (AAHSA) works to offer not-for-profit aging-services providers the information and support they need to create the future of aging services. AAHSA provides information and resources on legislative, operational, and legal issues and opportunities affecting aging-services providers. Veterans Affairs provides counseling and assistance to, and act as an advocate for veterans, their dependents and survivors regarding entitlement to benefits under Federal, State and Local laws and regulations. The American Health Quality Association represents Quality Improvement Organizations (QIOs) and professionals working to improve the quality of health care in communities across America. The American Geriatrics Society is a nationwide, not-for-profit association of geriatrics health care professionals dedicated to improving the health, independence, and quality of life of all older people. AGS provides support through activities in clinical practice, professional and public education, research, and public policy. The American Society on Aging provides resources, publications, and educational opportunities to enhance the knowledge and skills of people working with older adults and their families. The Association of Directors of Geriatric Academic Programs facilitates the development of leadership skills among academic geriatricians and provides an ongoing forum for Program Directors and leaders in academic geriatrics to discuss the wide variety of issues that they encounter. The Gerontological Society of America works to advance the study of aging and disseminate information among scientists, decision makers, and the general public. The Cleveland Clinic Lou Ruvo Center for Brain Health (CCLRCBH) provides state-of-the-art care for cognitive disorders and for the family members of those who suffer from them. The physicians and staff at the CCLRCBH are working towards the development of early diagnosis and the advancement of knowledge concerning mild cognitive disorders, which could one day allow us to delay or prevent their onset. Family Caregiver Alliance offers programs to support and sustain the important work of families and friends caring for loved ones with chronic, disabling health conditions. FCA’s web site provides a wealth of caregiving advice, resource listings, newsletters, fact sheets, research reports, policy updates and discussion groups. The National Council on Patient Information and Education (NCPIE) works to advance the safe, appropriate use of medicines through enhanced communication. Their web site provides helpful resources, many focused on the senior population, for both consumers and healthcare professionals to support safe medicine use. The National Hospice and Palliative Care Organization represents hospice and palliative care programs and professionals. NHPCO develops educational programs and materials; convenes meetings and symposia; provides technical informational resources; conducts research; and monitors regulatory activities. Caring Connections, a program of the National Hospice and Palliative Care Organization (NHPCO), is a national consumer and community engagement initiative to improve care at the end of life. It provides free resources and information to help people make decisions about end-of-life care and services before a crisis. LongTermCareLiving.com provides consumers with needed information nursing homes, assisted living/residential care, and other types of long term care. The National PACE Association’s web site offers numerous resources and tools for registerd providers to understand the PACE model, assess their organization’s commitment and capacity, assess their community’s needs, and move forward with development or expansion of a PACE program. Next Step in Care provides information and advice to help family caregivers and health care providers plan safe and smooth transitions between care settings for patients. It is supported by a United Hospital Fund Campaign. PalliativeDoctors.org was developed by the American Academy of Hospice and Palliative Medicine to help families and patients understand the facts about, and benefits of, hospice and palliative care. This site includes patient stories, caregiver tips, as well as resources to help patients receive quality care. The Administration on Aging works to develop a system of health and long-term care that helps elderly individuals maintain their independence and dignity in their homes and communities. Their web site offers resources for aging professionals and others, including a searchable database of materials by AoA grantees; information to help increase access to, and improve programs for, older minority Americans; and listings of Federal web sites that offer valuable information. The National Institute of Aging leads a broad scientific effort to understand the nature of aging and to extend the healthy, active years of life. The NIA provides leadership in aging research, training, health information dissemination, and other programs relevant to aging and older people. The National Gerontological Nursing Association offers its members tools and resources to improve the quality of nursing care for older adults. The Gerontological Advanced Practice Nurses Association works to advocate quality care for older adults; promote professional development; provide continuing gerontological education; enhance communication and professional collaboration among healthcare providers; and educate consumers regarding issues of aging. The Hartford Institute for Geriatric Nursing works to shape the quality of health care for older Americans by promoting geriatric nursing excellence to the nursing profession and to the larger health care community. Their web site contains resources and links to all products developed by the Institute in the areas of Education, Practice, Research, and Policy. The Social Work Leadership Institute is working to train and grow the national workforce of social workers who specialize in aging and to improve long-term, community-based care for older adults through advocacy, education and training, leadership development, and research. Academy Health works to improve the knowledge base of health care decision-making by supporting the professional development of those who conduct and use health services research, advocating for the tools and funding necessary to do this important work, and helping to translate HSR findings into policy and practice. The Alliance for Aging Research is the nation’s leading citizen advocacy organization for improving the health and independence of Americans as they age. AAR works to develop, implement and advocate programs in research, professional and consumer health education and public policy. The Center for Interdisciplinary Geriatric Research works to promote interdisciplinary collaboration of researchers in the development, testing, and dissemination of health-enhancing interventions for older adults. American Federation for Aging Research has supported the science of healthier aging and played a major role in providing and advancing knowledge of aging and mechanisms of age-related disease. The National Resource Center on Nutrition, Physical Activity & Aging aims to promote active healthy aging by working to reduce nutrition risk among older adults. The Institute on Aging Research Center links the research, clinical, and health service experts of the Institute on Aging and the University of California, San Francisco. Research studies at the Center focus on issues of importance to the health and well-being of elders, and seek to develop interventions that enhance independence and functional ability.